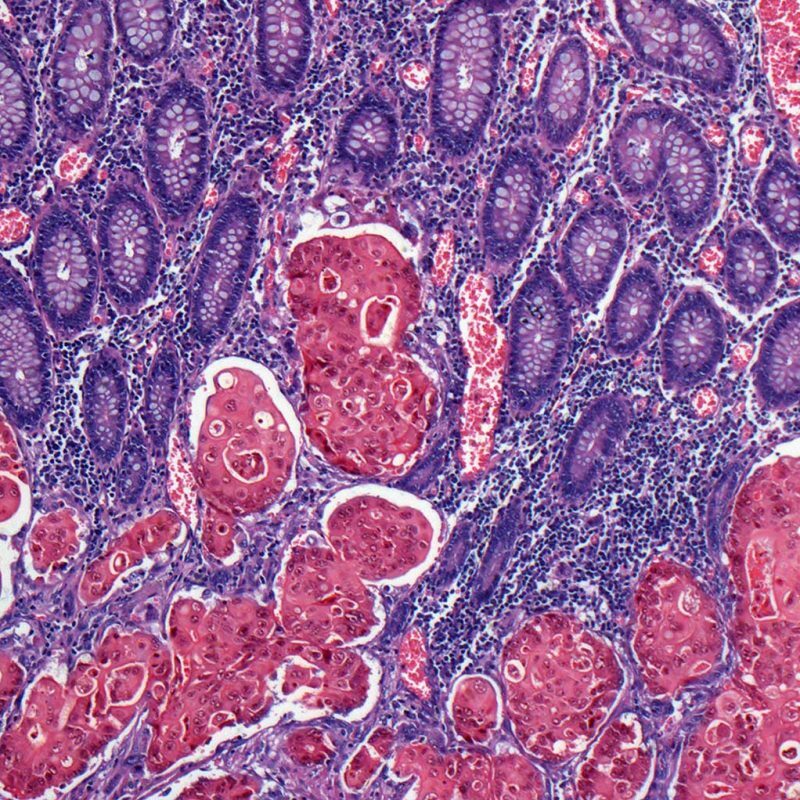 Approximately 35% of all resected colorectal cancer tumours are classified as Stage II. From here, it’s hard to predict which patients will suffer a recurrence after surgery. Despite this, many patients are routinely started on 5FU/capecitabine therapy. Studies suggest that use of adjuvant 5FU therapy in Stage II or IIIa CRC patients would only increase survival by 3-5% and a large proportion of these patients would suffer severe side effects from 5FU treatment. There is even a 0.5-2% risk of treatment-associated death. Identifying which of your patients are at low, intermediate and high risk of colorectal cancer relapse; ColoProg uses innovative digital pathology to create a risk profile for your patients and help inform your next clinical decision. Using digital pathology to examine resected tissue samples with our proprietary DNA ploidy and stroma content, we combine these biomarkers to create a risk profile for each patient. This innovative technology helps you make an informed clinical decision following surgery, whether this is a better-targeted adjuvant chemotherapy for high-risk patients or avoiding chemotherapy altogether in patients who have a high likelihood of cure by surgery alone. ColoProg has been clinically validated in approximately 1,000 Stage II colorectal cancer patients and around 2,500 patients in total. So you can be confident in making the right choice for every patient. The QUASAR 2 study, along with studies from Oslo University Hospital, Aker (Norway) and the Gloucester Colorectal Cancer Study were used to validate the use of tumour ploidy and stroma when stratifying patients into clinically useful groups based on their risk of cancer specific survival. 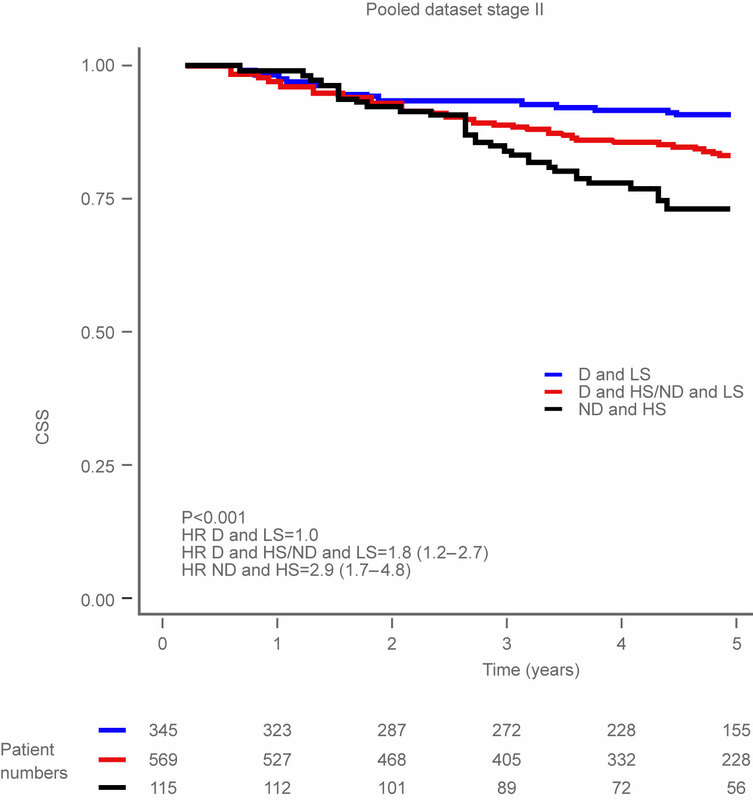 non-diploid and low stroma (D and HS/ND and LS), and non-diploid and high stroma (ND and HS) among patients with Stage II tumours. low-, intermediate- and high-risk of cancer recurrence or cancer-related death. This study clinically validates ColoProg, allowing clinicians to better target specific patients with adjuvant chemotherapy after surgery. OCB is collaborating with Room4 to accredit and commercialise ColoProg. Room4 develops imaging applications for pathology with a focus on disruptive, proprietary platforms which promise to significantly improve standards of care in cancer.